There are over 31,000 verses in the Bible. Even if respondents’ interpretation of “A Few Verses at a time” is 8 full verses (the colloquial definition of “few” is around 3), the reader will not finish the whole Bible in 10 years. There are 1,189 chapters in the Bible, so the 31% of respondents who chose the second answer in the list above will finish reading the Bible through in about 3.5 years. Hopefully, those who chose these first two responses have read through the Bible in its entirety already and intend to do so again in the future, but are currently focusing on smaller portions at a time each day. Those who selected the fourth and final option are on-track to read through the Bible 5.5 times each year. This sounds amazing, but are they fully grasping everything Scripture has to offer as they move at such a pace? 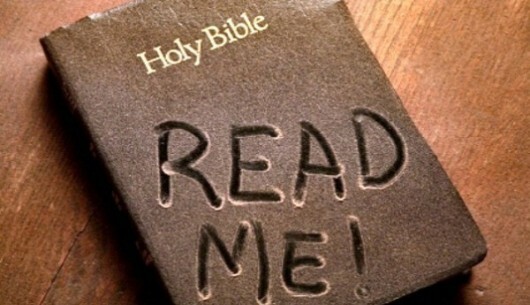 There is a difference between reading through the Bible and having a daily devotion. Each genre of Scripture calls for a different approach. For example, the first chapter of the book of James is a parade of life-changing verses in a row; each calling for meditation and introspection. Books like Ephesians that unpack doctrine deliberately and systematically need to be savored. On the other side of the spectrum are narrative and historical books that tell the story. If you ingest these only a few verses at a time over the course of days, you lose track of the narrative. You forget the setting, the tension, the context. When I watch Ravi Zacharias speak, I pause it every few minutes to make sure I understand what he is saying. When I watch The Lord of the Rings, I pop my popcorn beforehand so that I don’t have to pause it and can let the story unfold. I have found benefit in the same approach to Bible reading. I read the Sermon on the Mount in deliberately sized portions at a time. I read the book of Acts in halves; Peter in chapters 1-12 and then Paul in chapters 13-28. So, under the conviction that it is better for Christians to read the entire Bible, knowing that not all Scripture can be plowed-through quickly, and knowing that the Bible is a huge book, what approach ought we take? For what it is worth, here is what I do. I read through my thin-line copy of the Bible each year and annotate it as I do; marking passages to return to for deeper meditation on them. Then, in my study Bibles, I dive deep and reflect on these few verses at a time. It’s painful sometimes to just stick a tab in my thin-line and move on, but the need to grasp the overarching picture of Scripture drives me forward in the text. My personal devotion times allow me to return to these markers and press their truths to my heart. This is when I memorize Scripture. This is when I incorporate Explore the Bible’s Reading Plan into my personal time in the Word. Reading through the Bible quickly each year provides the literary context for my slower and more deliberate devotion times each day. Consider the long-term ramifications of a lack of a plan. You could, as many of the respondents to our social media quiz likely will, go years without reading the entire Bible. You could neglect entire books of the Bible without realizing it; thereby missing the Christ connection between the books you know and the books you don’t. Consider what would change on your horizon, that is your future, if you adjusted your Bible intake higher and then lower. Are you speed reading through Scripture and missing the life-changing truths? Are you moving at a snail’s pace, forgetting the larger context, and projected to finish in 30 years? A fusion of these fast and slow approaches has helped me see Jesus in every passage. It has been a beautiful blessing for me. Hopefully, it blesses you too, my friends. From Explore the Bible Leader Extras.